All of our services come to bear in any of our applications. For example, you may book our deejay services, but you gain the benefit of our event design/training and our attention to aesthetics and visual presentation. Our unique corporate organism cross-trains, supervises, and shares the latest developments in any one area. You benefit from a highly trained, evolving machine. Two words: wedding DJ. These two little words can evoke such a strong reaction in people. Wedding DJs are cheesy some might say. One Chicago wedding DJ, however, thought differently. He founded fig Media saying, it doesn't have to be this way, wedding DJs can be smart, sophisticated and creative! Since 1993, Fig has been on a mission to re-educate Chicago area brides and grooms on a new type of wedding DJ. Our DJs take the time to know you and your wedding plans. We help create a steady flow of events for your wedding reception. Every Fig DJ will establish a dialogue with you and your other vendors to build a strong team around your wedding day. We do site inspections ahead of time to establish the best audio set-ups for your wedding reception location. Our DJs listen to your input before your wedding day to create song lists of MUST PLAYS and DO NOT PLAYS. Why will a Fig DJ spend all this time and energy on a wedding you may ask. We do all of this because we are committed to creating the best possible wedding experience for you and your guests. We take care of the details on your wedding day so that you won't have to. 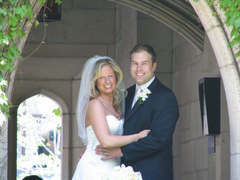 We do all this so that you can spend time on your wedding day with the bridal party, rather than with the venue staff. We do all this so that on your wedding day it is clear to you that everyone is having a good time, and you don't have to spend time and energy worrying about the experience of your guests. Simply put, our wedding DJs work with you so on your big day, you can focus on what is most important: enjoying your wedding. The landscape of Chicago wedding DJs has forever changed and Fig Media has set the bar! fig's documentary-style digital films are candid, passionate, cinematic and real; created by getting to know a couple’s story. No two films are alike, one because we are artists and get bored but mainly because no two people are alike. Some companies look for a standard cookie cutter to punch out the process of making digital films–we at fig work on the systems that allow creativity and the natural flow and individuality of each project to manifest. If you want something standard, and don’t really want to get involved, we are not the company for you. If you are creative or want to be call us. fig photos evoke emotions and generate conversations, like art. Their documentary style photography is candid, jive-tastic, progressive, passionate, so good it will make you pass out. Their photos, like their films tell stories, your story. Like what you hear in all services? Ask about our Mod Deal. We combine all three services and a coordinator! check it out here: Mod Deal Case Study: Jessica and Nick. Really easy to work with and truly cared about making sure we had a great time. They stuck to their guns about our "do-not-play" list and overall, they did a great job! The night was perfect! Fig Media did our photography, videography, and DJ. They were all more than we could have asked for. Our photography and videography turned out beautifully. We also had a really quick turn around on getting our pictures and video. They were the utmost professional and totally blended in. They were so kind and talented. Our DJ did everything we wanted and kept things rolling smoothly. We loved them!